Sometimes unexpected quiet days are truly a treasure to cherish and indulge. 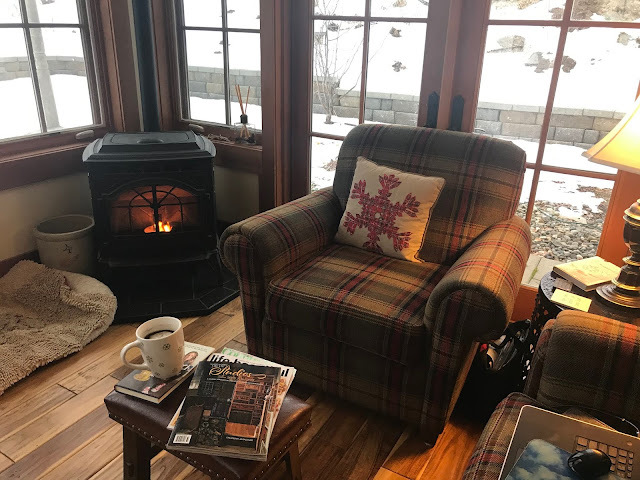 For some reason the unplanned day to spend in pj's by the fire just evolved and it feels like a guilty pleasure of pure bliss. The snow-covered ground with its bone chilling temperatures make me feel grateful to be able to snuggle in the warmth of the sunroom and fireplace. 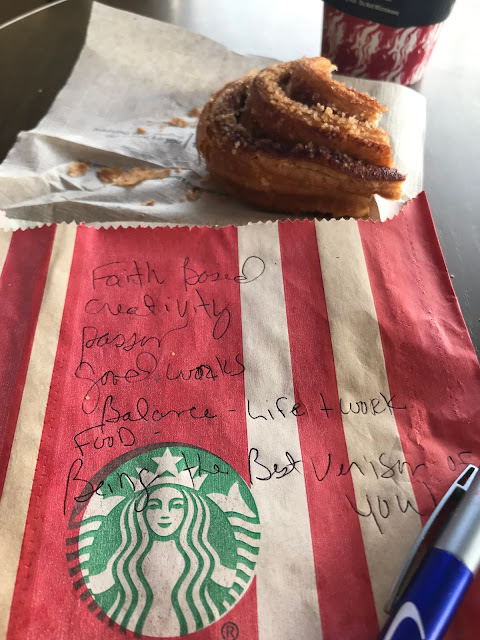 In case you can’t read my chicken scratch …..
From that impromptu list hastily scribbled down, inspiration has formed and in its infancy, I feel this is a vision from our Creator. And let me tell you that I have a lot of work ahead of me, but I have found a co-conspirator to join me. More to come on this and I’ll be excited to share this new adventure…. let me assure you!!! As I’m hoping you may want to join in. Later today I plan to make some potato soup, write, read and watch a beautiful day fade into a wintry dusk. In closing, I wish for each and everyone that 2019 evolves into a year where you find all that feeds your heart and soul.